17th of August - 21th of August 2016 ? I always excited about this event because I love fashion!! "wow , everyone is just soooo beautiful and fashionable"
"does my outfit suitable for this event?". But , when you are at the event . Everything is about fashion and business . I wish I could be part of fashion industry . As of this year , I'm not sure will I be invited ? 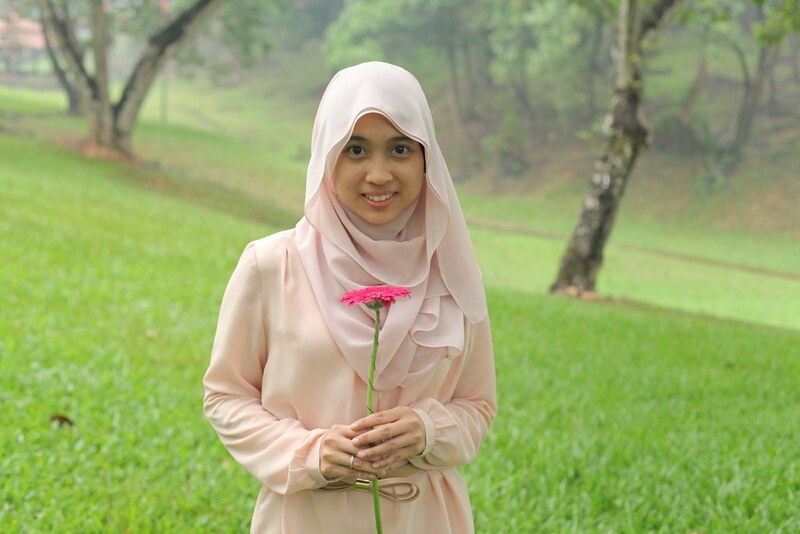 Hahaha ... Insyaallah . Whoever , interested to attending this event . There a chance for you to be at the event .
" 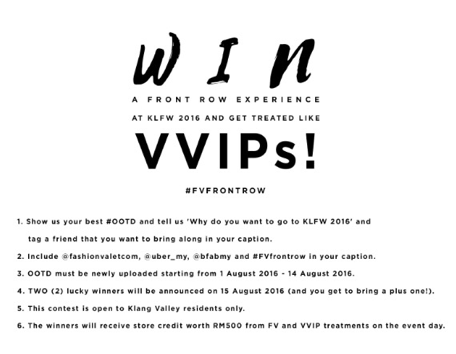 Win a Front Row Experience at KLFW 2016 " . Whattt???? Front row ?? 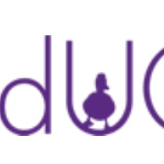 OMG !!! It's a great honour if I could win this one . Do you think I can win ? Hahaha ... Ok berangan je . All of you can join this contest too.
" Why do you want to go to KLFW 2016 " and tag a friend that you want to bring along in your caption. 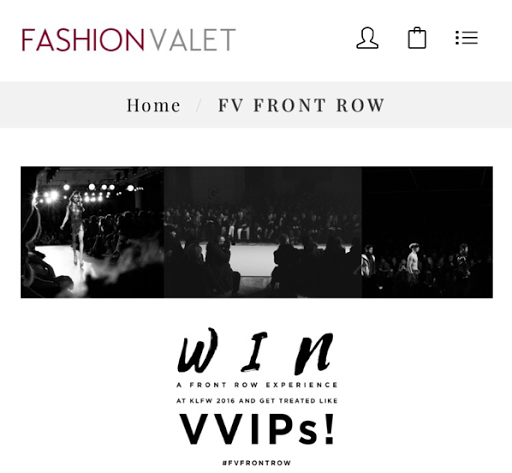 - Tag @fashionvalet @uber_my @bfabmy and #FVfrontrow in your caption as well. 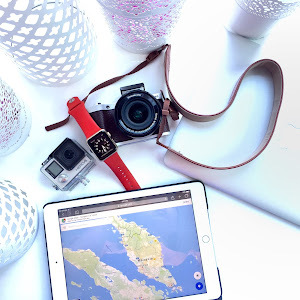 - OOTD must be newly uploaded starting from 1st Aug until 14 Aug 2016. 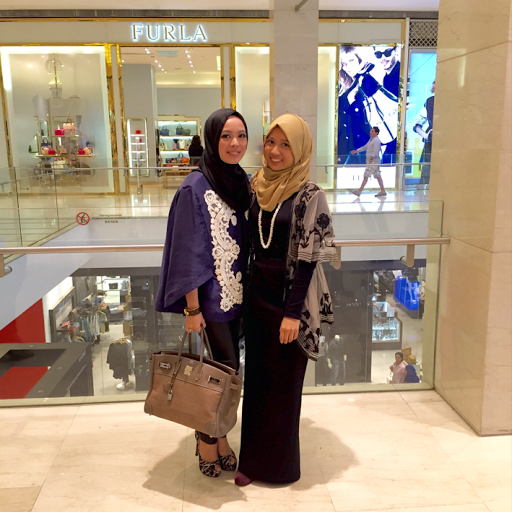 - The winners will be receive store credit worth RM500 from FV and get VVIP treatments on the event day. The contest already started in two days . Let's us join this together . Maybe , if you are lucky . You might win the front row for KLFW 2016 . Anddd~ if you win but not interested to attend or can't attend the event . You can give the seat to me . Hihihi . Ok kidding . 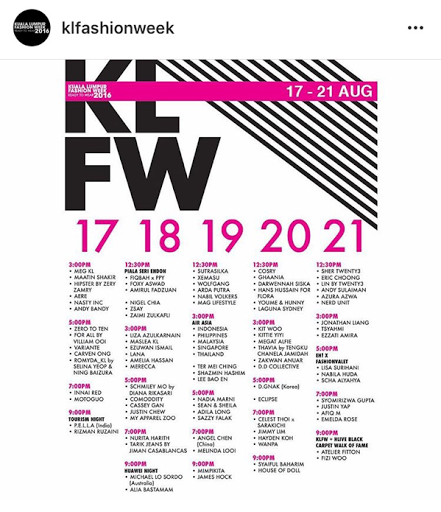 To end my entry let's see who are the designers for KLFW 2016 .